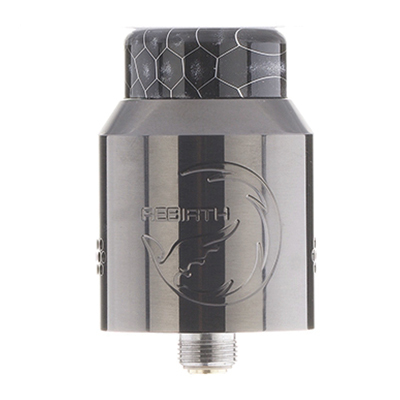 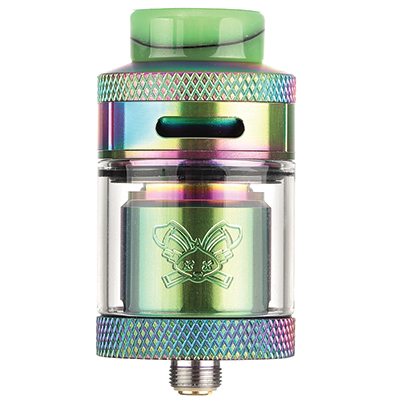 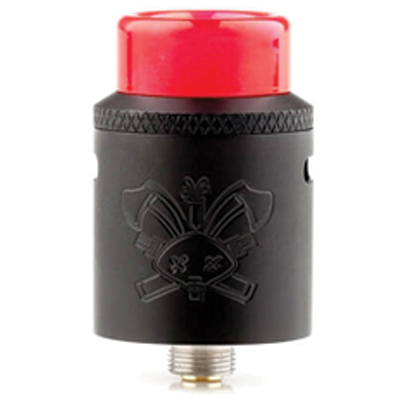 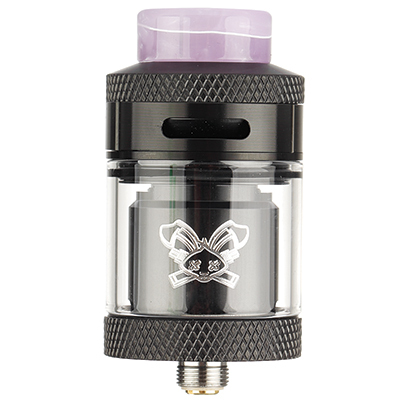 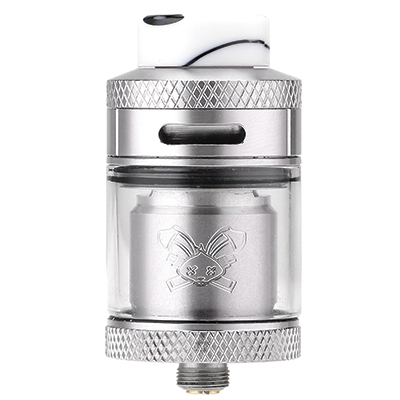 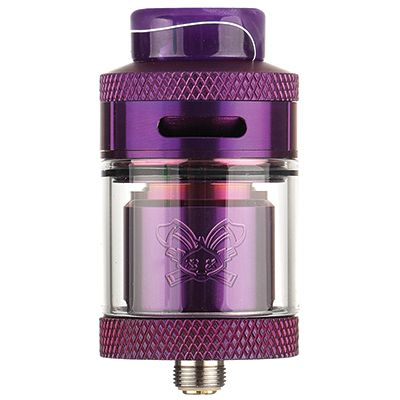 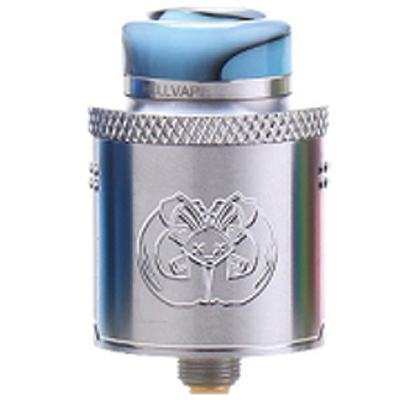 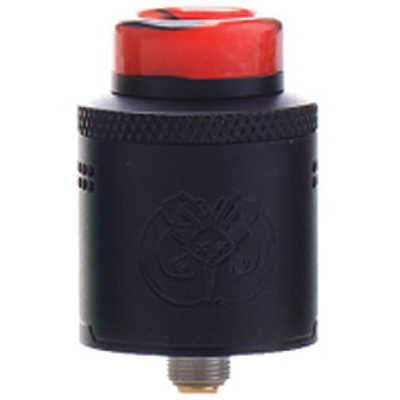 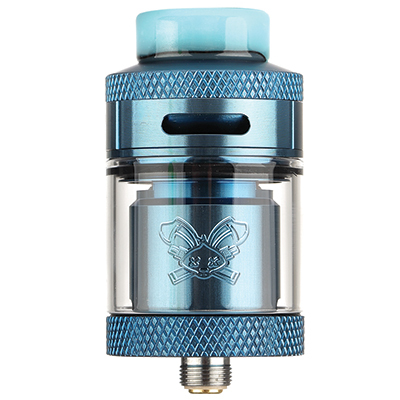 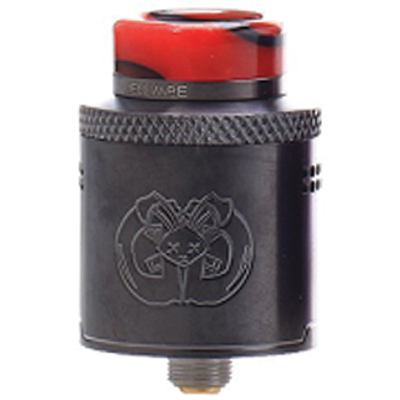 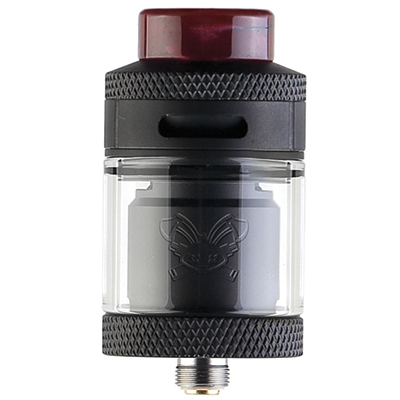 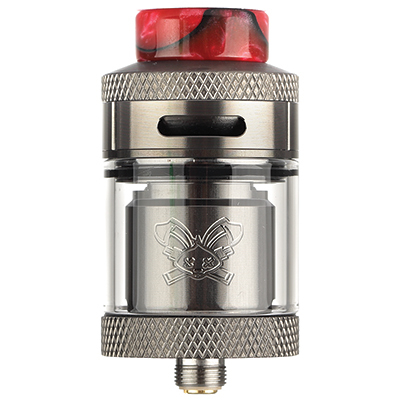 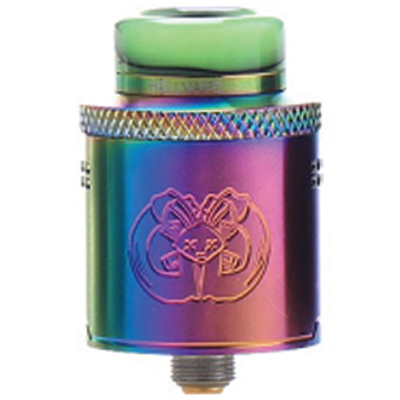 Hellvape Dead Rabbit RTA is a fully comprehensive 24mm rebuildable tank atomizer collaborated design by Vapin' Heathen and Hellvape with CNC engravings on the wall sleeve. 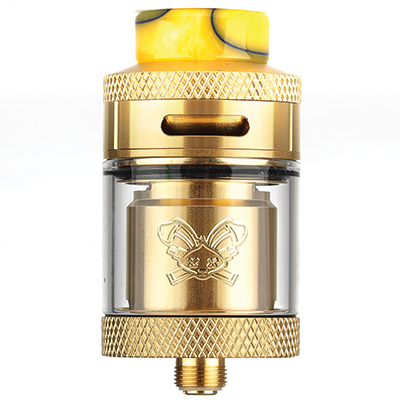 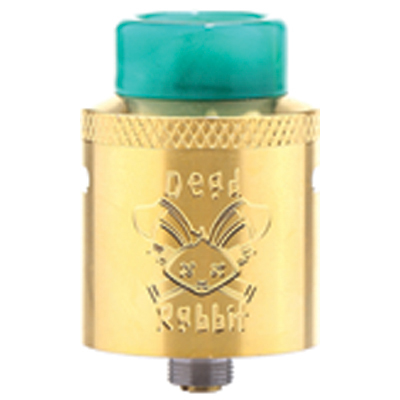 The Dead Rabbit features four post build deck with gold plated positive posts and a 5mm deep juice well, and is capable of running both single and dual coil options and each terminal has side mounted hex flathead screws, which are both included. 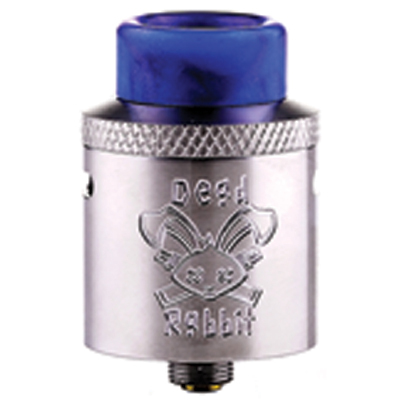 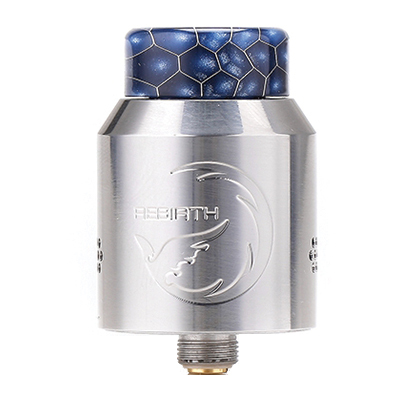 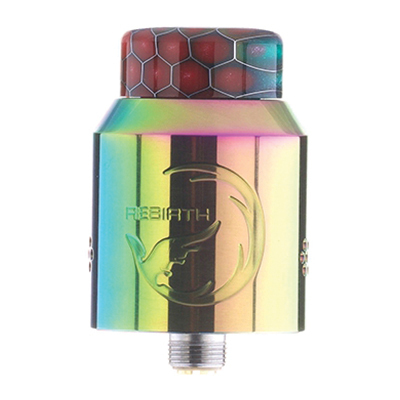 Airflow enters the Dead Rabbit RDA via top-side diagonal adjustable airflow which focuses on flavor and minimizes leaking. 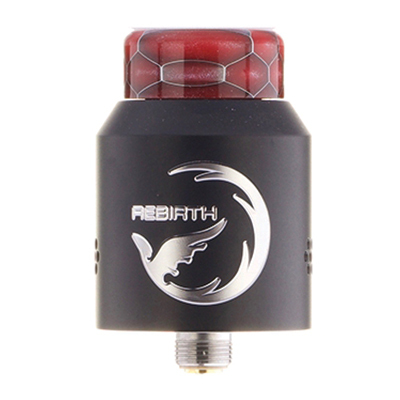 The airflow can be adjusted for both single and dual coil options and a knurled grip allows for adjustment of the airflow with ease. 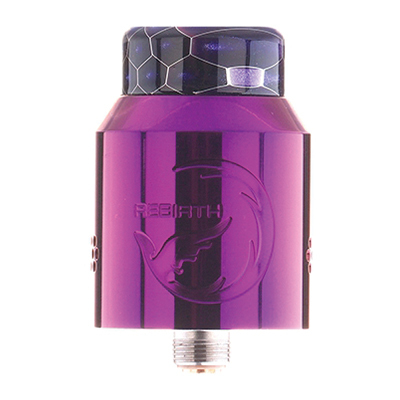 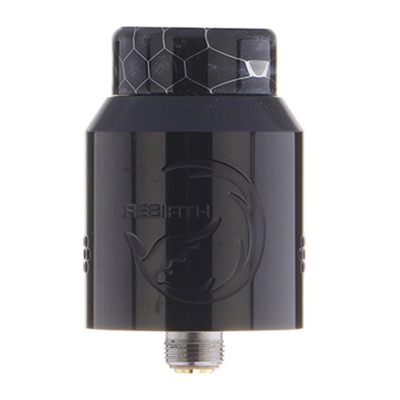 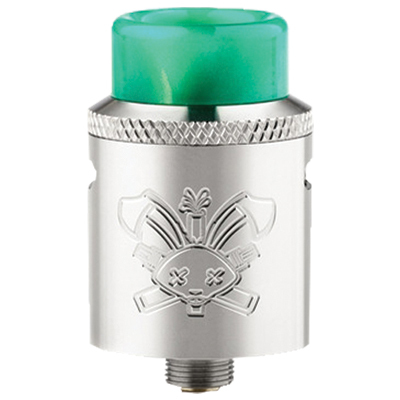 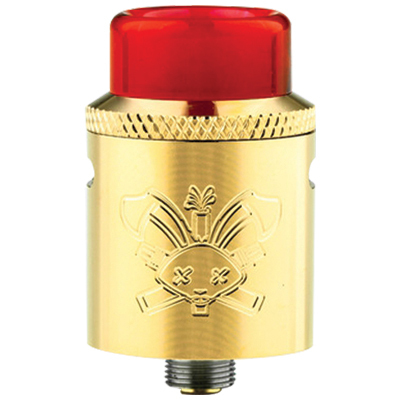 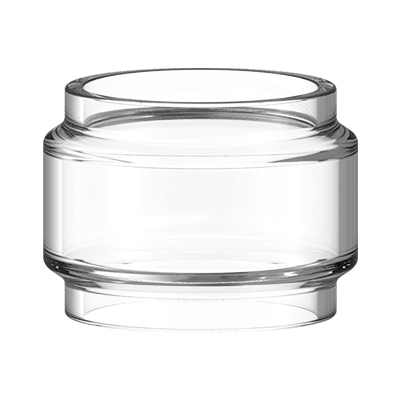 To offer a better vaping experience, there is an 810 wide bore drip tip and Dead Rabbit Logo on the glass tube. 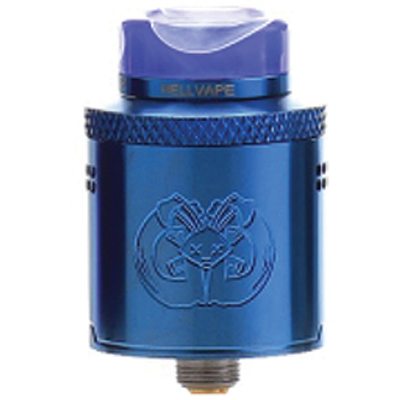 14 airflow holes for a turbulent free pull and worry free purging. 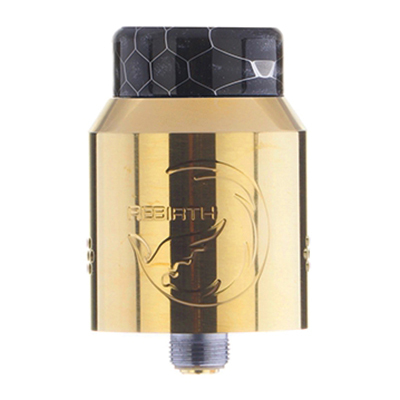 2 high quality 810 drip tips and 510 drip tip adapter.